Good question. And one that remained a mystery to us, until four months later I hauled my family to a crime victim therapist for a consult. Some background: The short answer is that my husband and I had stepped up to clean out his cousin John’s apartment, and there was cottage cheese in the fridge, along with other food, that my husband brought home. Should I mention that John had committed suicide? (Thank you Jesus THAT was cleaned up before we got there.) Should I also mention that he killed himself because he knew the police were coming to arrest him for shooting his mother, my husband’s aunt, in cold blood, and that they suspected he had pushed his father off a cliff to his death in Mt. Rainier the previous year? AND that John and his mother had been part of our large Thanksgiving Gathering just a two months before? So, this was a bit more complicated than just cleaning out an apartment. Back to the cottage cheese. I know what you are thinking: EEUUWW!!! Why would you bring anything home from that apartment, let alone an opened container of cottage cheese? But before you start thinking we are crazier than we already are, and that you would NEVER do such a nutty thing, let’s take a look at what might have been going on inside our brains – Because it’s what your brain does too, when faced with something so traumatic and bizarre. In the book, “The Unthinkable: Who Survives Disasters and Why” author Amanda Ripley explains that in the moment (for us, it was a month) of crisis, below our conscious thought, our brains are scanning everything we’ve ever experienced, heard about or read about, that might help us figure out what to do now. She uses such extreme examples as 9-11 and the tsunami of Sri Lanka, to show how fast our brains run through their database seeking relevant information. Okay, but what do you do when you’re brain’s database has nothing to offer on the etiquette or rules for cleaning out your killer cousin’s kitchen? That brilliant trauma therapist, upon hearing my kids say four months later, “Dad, what were you thinking? 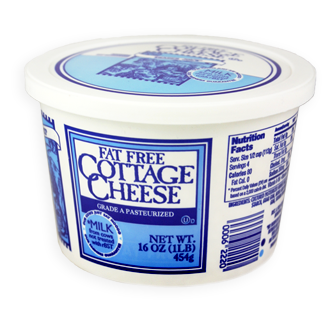 Why did you bring home the cottage cheese?” explained this to us, and my husband was able to remember what he was thinking: That you never waste food. In searching for something to hang onto, some guidelines, and finding nothing, his brain went to one “rule” he knew really really well; it was (more literally than we ever thought!) engrained into him since childhood: Never waste food. Four months later, he couldn’t believe THAT was what he was thinking, and he asked, “What ever happened to that cottage cheese?” I threw it out, while he was sleeping. I knew enough to know we didn’t need to get into a fight over wasting food right then, because this wasn’t about food at all. It was about his brain, and my brain, trying to muddle our way through, and help our kids as best we could. Our brains do what they do for a reason. Next time you say, “What were you thinking?” trust that to that person, it made sense at the time. This entry was posted in Uncategorized and tagged crime victim, crisis, family of murderer, parricide, thought processes, trauma. Bookmark the permalink. Thought provoking, post. I don’t suppose there is any ‘appropriate’ response to dealing with a situation so horrifying and bizarre. Sorry your family has had to go through this. Thanks – Yeah – so so bizarre, but lots of folk have bizarreness in their worlds, and I think it’s helpful to know what is going on inside our brains when we find ourselves surrounded but such weirdness!